The biggest news on transfer deadline day so far is David Beckham's expected move to Paris St-Germain, pending a medical. The 37-year-old midfielder, who left LA Galaxy at Christmas, is due to be unveiled at a news conference at 4pm GMT today. 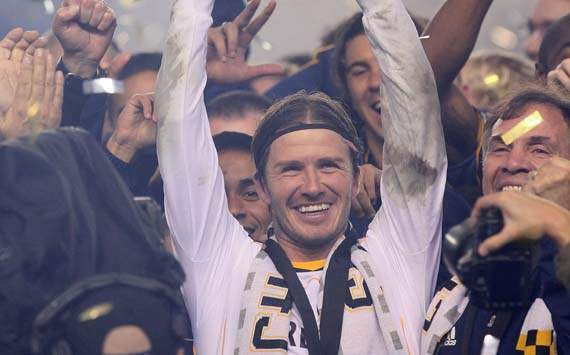 Beckham was close to joining PSG last season but chose to stay an extra year at LA Galaxy instead. David Beckham is to return to elite European football after flying to France to sign a deal with Paris St Germain, with the former England captain to be unveiled at a news conference at Parc des Princes later this afternoon. The 37-year-old midfielder's private jet touched down in the French capital at around 11am this morning and he travelled on to a Parisian hospital to undertake a medical. Beckham has been a free agent since leaving Los Angeles Galaxy after five-and-a-half years just before Christmas, but had spent some time recently training with Arsenal at their base in London Colney while he weighed up the next move. The veteran had received 12 formal and lucrative offers from clubs in South America, South Africa, Russia, China, the Middle-east, Australia and North America. The French second division club, AS Monaco, had made a tentative enquiry, but he has ultimately been swayed by the prospect of claiming a title in another major European league as well as competing again in the Champions League. PSG are currently joint top, above Lyon on goal difference, of Ligue 1 as they seek a first French title since 1994 and will meet Valencia in the knock-out phase of the European Cup next month. There is also the draw of working again with the manager Carlo Ancelotti and the director Leonardo, under whom Beckham played on loan at Milan from LA Galaxy, with Qatari-owned PSG boasting the financial clout to secure his services. The French club have twice come close to securing the player, initially in the summer of 2011 just after the Qatari takeover of the club and again a year ago, only for the former Manchester United and Real Madrid midfielder to decide to prolong his stay in Major League Soccer for another season instead. That news prompted dismay in Paris – the team fell away and ended up losing out to Montpellier in the league – but they have added extravagantly to their squad since. Zlatan Ibrahimovic and Thiago Silva arrived from Milan in the summer, while the highly rated Brazil midfielder Lucas Moura linked up with his new team-mates earlier this month, with Beckham likely to play cameo roles in the first-team at Parc des Princes given the options at Ancelotti's disposal. Indeed, Ancelotti had stated only last month that he did not anticipate pursuing a player who will become the second oldest in the French topflight, behind the fourth choice PSG goalkeeper, Ronan le Crom. 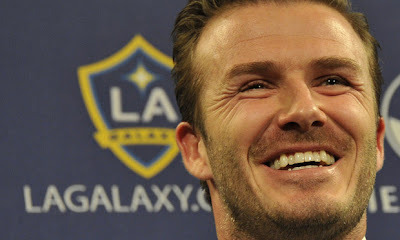 However, Beckham's arrival would raise the global profile of the club significantly. The PSG owner, Nasser Al-Khelaifi, had revealed his admiration for the player in an interview with the Guardian in September 2012. "He is excellent and it's true that we came very close, but I think that it was a family issue, his family," he said, reflecting on the initial move to secure Beckham in the summer of 2011 which had prompted him to visit the player in Los Angeles. "He's a great player, a great guy, an excellent ambassador, and we'd have loved to have had him. He's a good footballer still and, when I talked to him, he believed in our project. It's very important it's not just about money. It's about the project. "He's a great guy, very proud of what he's achieving, and he's an excellent example for the young players. We were honestly not far from securing him. He wanted [to come] … we wanted him but as I said, family, and we understood. But we were very close." They have now succeeded in securing a player Arsene Wenger described as "super ambitious" only last week, though it remains to be seen how long it takes Beckham to build up his match fitness ahead of breaking into contention at PSG. Al-Khelaifi and Leonardo will be in attendance at the press conference this afternoon, alongside Beckham, to announce the signing with suggestions in France circulating that the player will earn around £150,000-a-week over what is likely to be an initial six-month deal, possibly with the option of a further 12 months. PSG had actually trimmed their squad of fringe players during the current window, with Adrien Rabiot joining Toulouse, Diego Lugano moving on loan to Malaga, Guillaume Hoarau leaving for Dalian Aerbin in China and Nene for Al Gharafa in Qatar.